CLARK COUNTY — The candidates for Clark County Council’s second district faced off at a League of Women Voters forum this past week. 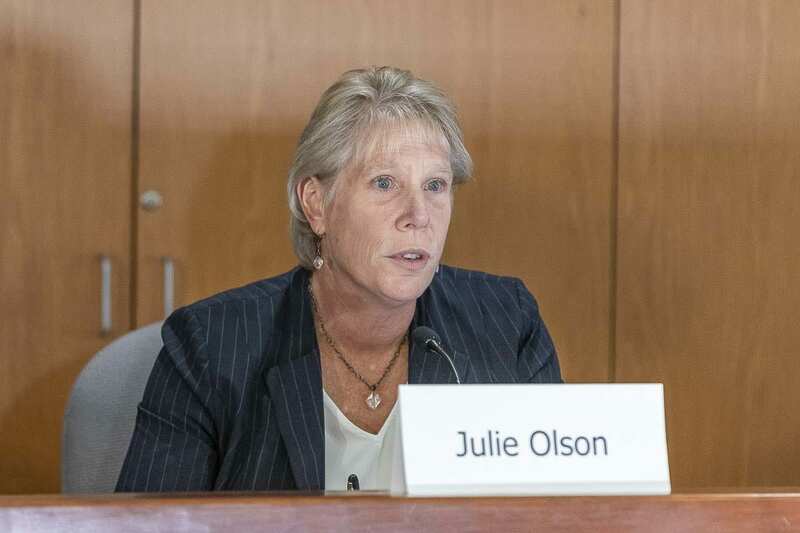 It will essentially be a rematch of the primary election, which saw incumbent Julie Olson pull in 80 percent of the vote against political newcomer Elisabeth Veneman. Veneman and Olson have both identified as Republican on the ballot, making it one of the only local races pitting members of the same political party against each other. In the League of Women Voters forum, broadcast on CVTV.org, the candidates answered six questions on a variety of topics. First was what they see as the top concerns of Clark County residents in the second district, which represents much of the western area of the County, including Hazel Dell, Salmon Creek, Ridgefield, and La Center. Olson said transportation remains among the hottest topic among people who’ve reached out to her. Veneman said people she’s heard from while going door to door with her husband and children seem most concerned with tax rates. Also connected to transportation, Veneman says a lot of voters want to see more job growth in Clark County, so fewer people have to commute into Oregon for work. The topic of job growth continued in another question, asking the candidates what their vision of Clark County looked like in 20 years, and how they would balance that growth with maintaining quality of life. Olson called it one of the most difficult jobs currently facing the council. Veneman stuck with her theme of job creation as a top priority in her answer. “I would love to see us be a self-sufficient county in 20 years,” she said. “Not dependent on what’s happening across the river. But, she added, it’s become obvious that a large number of people who live in the area are unhappy with the proposed development. On the topic of the county’s difficult budgetary position, Veneman said it’s her position that higher taxation, or increased fees, aren’t the solution. As far as answers, Olson said the county isn’t really in a position to simply increase their revenue. Right now, said Olson, the county simply needs to learn to live within its means, which means making difficult decisions. One of those will be how to address the issue of the outdated and overcrowded county jail. An advisory committee has been looking into the issue, and just extended their deadline two more months to give them more time to bring some options before the council. Olson said it’s likely the price tag could be between $100 million and $300 million. Veneman said she’s glad to hear that an advisory committee is examining the issue, and hopeful they can return with a good recommendation. That line of thinking also played into a question about mental health issues in the county, and what can be done to keep them out of the jail system. Veneman, whose parents are missionaries who currently run a rehabilitation clinic on the Oregon Coast, said she would rely mostly on partnerships with local nonprofit groups. Olson agreed, but said the county’s tenth-of-a-percent mental health sales tax is already contributing over $7 million worth of programs. The county is also donating space for a mental health triage center. “We need an opportunity to triage these mental health crises in the time that they’re in crisis,” OIson said. 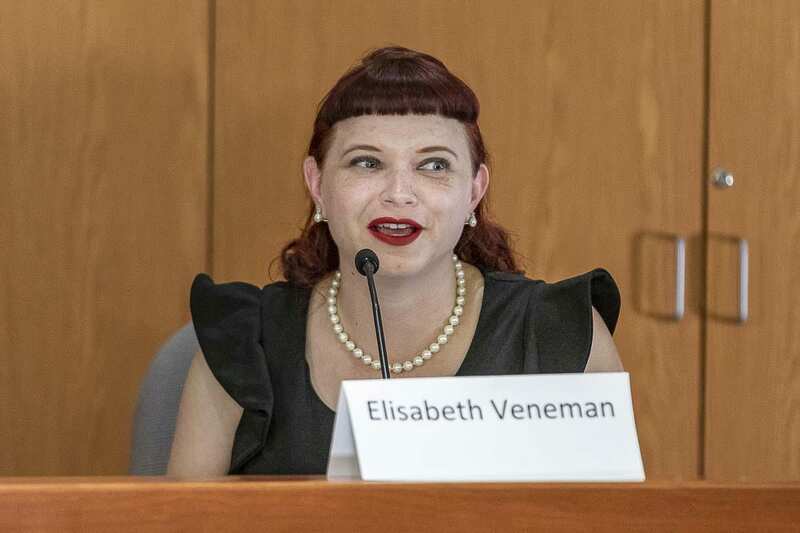 Veneman, who describes herself as a big-time history nerd, has also said she would work to roll back restrictions on fireworks passed earlier this year by the county — a resolution supported by Olson after fireworks caused a fire at her home last year.